Replacement of resin occlusal plane with zirconia occlusal plane. 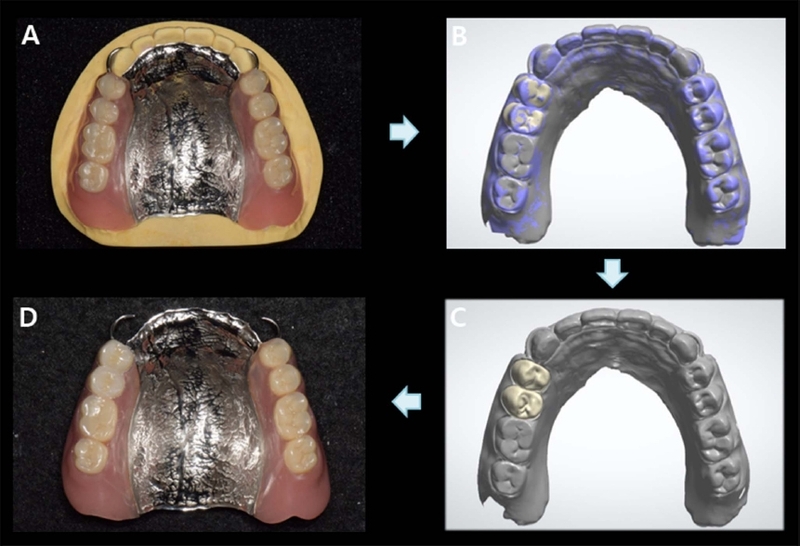 (A) Working cast fabrication by pick-up impression of maxillary RPD. (B and C) CAD design of zirconia occlusal plane by double scanning method. (D) Final maxillary RPD after cementation of zirconia occlusal prostheses on the occlusal surface.